The following is a guest post by Eduardo Merille, Associate Director of Marketing at Florida International University. Eddie has a personal blog and you also connect with him through Twitter, Facebook or LinkedIn. 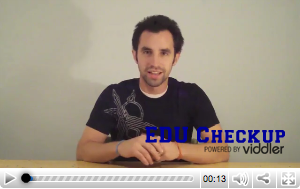 This is the fifth post in the .eduGuru Blogger(s) Search Contest. The web has united people of common interests and kept them connected through a communication technology that rivals anything we have ever seen in history. Finding out what Peter had for lunch in Beijing last week or which is the best camera for underwater photography from someone who went diving yesterday has never been easier. Information from real people (not media or corporate marketing) on anything is available 24 hours a day. The world as we knew it before the web and social media is just a memory. The world is now a village. Does a billboard ad work in a village? How about a TV spot? Ridiculous right. If I want to buy a roof for my hut I will go to see that guy across the way that just put up a roof and find out about his experience. This is what people are doing on the web before they make most major purchases. Decisions are not being influenced by a convincing slogan or a slick ad. Decisions are being made by conversations. A great commercial or a clever campaign will draw attention to your product or service but if it is not supported by conversations and real voices, chances are, it will not lead to action or sales. This is what we need to keep in mind as marketers next time we are at the table coming up with our organizations strategic marketing plans for the next 3 years. That statement really rings true!